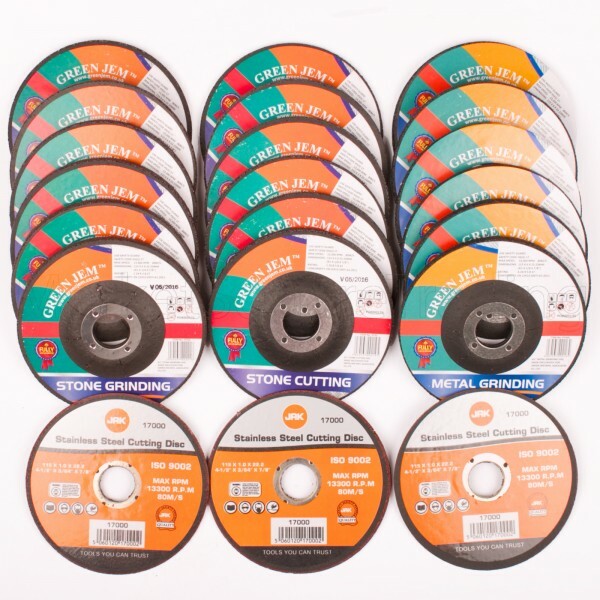 Range Of Cutting, Grinding And Slitting Discs For Any 115mm 4 1/2" Hand Held Angle Grinder. Green Jem discs have depressed centers with resin in the depression marks. 1mm discs are flat. 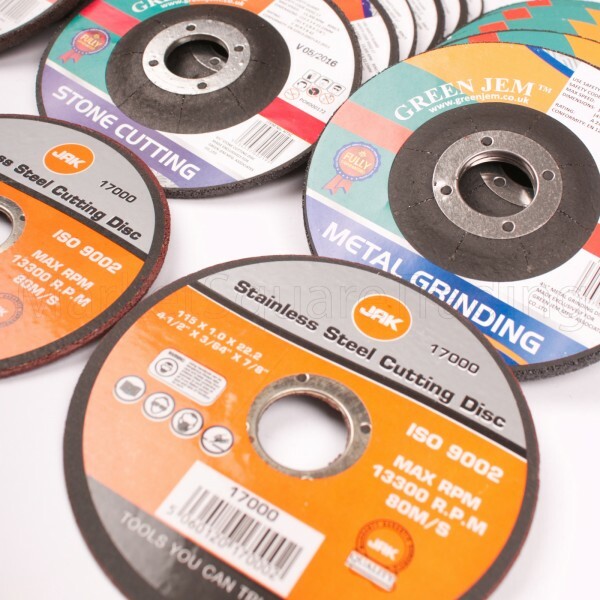 Please note that the 1mm slitting disc has a very thin profile for faster steel cutting and less material waste. Ideal for rusty nut removal and cutting a wide range of materials, not just stainless steel. 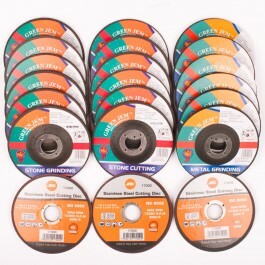 I use these on a regular basis to cut down all sorts of materials. Please feel free to contact me if you are unsure about them cutting a certain type of material as I may be able to advise.